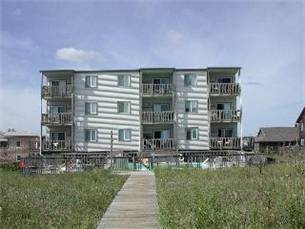 Sea Oats Villas Condominiums offer the ultimate in Outer Banks comfort and convenience. Situated at Milepost 7.5 in Kill Devil Hills, Sea Oats Villas are near the Wright Brothers Memorial. Learn about the first heavier-than-air powered flight that took place right here in 1903. Then climb the hill to see the granite Monument honoring the brothers. After taking in a little Outer Banks history, come back to sun and the sand on the lifeguarded beach. Or, lounge by the oceanfront pool and relax. 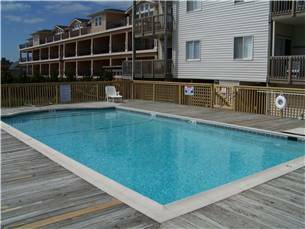 Explore the many Outer Banks shops and restaurants nearby or stay in and take advantage the kitchen in the condo which includes full size appliances. Enjoy morning sunrises over the Atlantic and fantastic ocean views from your private Kill Devil Hills rental balcony. Each Unit is one level inside, with 2 bedrooms and 2 baths, sleeping up to 6 people comfortably. Wireless Internet Access is available throughout the complex. Laundry facilities are on site as well as ample parking.